WE should read Matt. 23 here, and what Jesus Himself had to say to the whole of “Phariseeism” (which includes us and our time as well)! How is corban any different than a modern Christian finding a way around head-covering (1 Cor 11:2-16) or Paul’s command to keep women silent in the church (1 Cor 14:34-35)? Is this really a fair comparison? As you’ve explained it, corban involves an oath, which was an active commitment and act of giving by an individual, albeit one that was creatively constructed. Still, it’s more like the gift of property to a charity in a legal form that allows you a life-interest in the property so you can stay in the house until you die, for example. That seems like a very different thing from scriptural interpretation. It is a bit of a leap, I suppose. My point was that Christians can go to great lengths to set aside a commandment of scripture if it is inconvenient. And yes, I set the two I mention aside. My wife does not wear a hat. I think the biggest difference between Corban and the examples listed above is the issue of the heart. Isaiah 29:13 seems to be chiefly concerned with the hearts of the people, “These people honor me with their lips, but their hearts are far from me.” We don’t leave our heads uncovered or allow women to speak in church because of an issue of the heart. Whether we have read into those two issues, and their cultural context wrong or not, I do not believe that it is an issue of the heart. It would be an issue of misunderstanding. I do however thing that there is a good point being made here. I think we try to take the teachings of the Bible and fit them into our already formed beliefs and philosophies, or to find find loopholes for them. Jesus tells us to “Give to the one who asks you, and do not turn away from the one who wants to borrow from you” (Matt 5:42). And yet many Christians will pass by a homeless, or less fortunate person who is asking for money on the street. They will have plenty of reasons, such as that that person would only use the money for booze or drugs. Or perhaps that they don’t have any “change.” But lets be honest. This is usually stemming from a love of your own money. It’s a loophole that helps you get through that moment of selfishness. It’s the same thing we do when the offering plate comes by in church. You make up the excuse that you don’t like the charity that the church is giving to at the moment, and you’d rather give to this charity…but you never give to that charity. Or you don’t have any “extra” money on you. But you have extra money on you plenty of times during the week when you “need” that new thing you saw a commercial on. A corban does involve an oath, which is an active commitment and an act of giving by an individual. Doesn’t it take exactly that with our faith? I would say that I have an active commitment to the word of God and it does involve and require acts of giving and even sacrifice. So as the comparison does not seem fair and quite a stretch, there is validity in it. I think the guy above me nailed it. It comes down to heart. Referring to the prophesy of Isaiah Jesus accuses the Pharisees of being hypocrites saying, “These people honor me with their lips, but their hearts are far from me. They worship me in vain; their teachings are but rules taught by men” Matthew 15:7-8). Evidently Jesus knowing their hearts called them hypocritical. It wasn’t a matter of interpreting the law wrong. 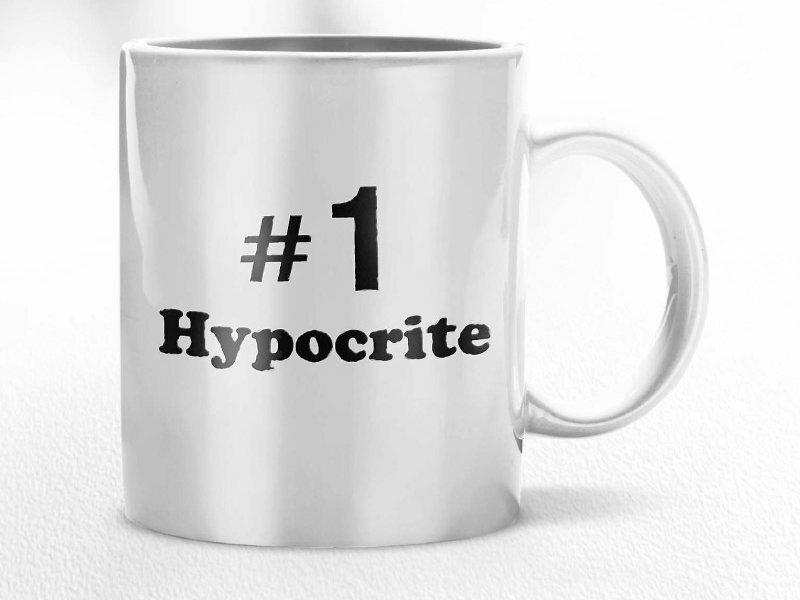 Although they may have interpreted the law in certain situations, Jesus called them hypocritical for a reason. There is definitely an aspect of state of your heart when it comes to situations like these. Although we are in a different culture we can still struggle with the same problems the Pharisees had. Matthew 6:5 says, “And when you pray, do not be like the hypocrites, for they love to pray standing in synagogues and on the street corners to be seen by men.” I observe people like this all the time. They may not be praying standing in synagogues and on street corners to be seen like men, but there are people who pray and serve in order to be seen by other men. When it comes down to it, if you are a disciple of Jesus Christ, you have made an oath. There will be difficulty interpreting Scripture, but nothing should ever be ignored or neglected in order to fit our culture. We should be committed to the word of God and always striving to interpret it correctly. I appreciate Mitch’s first point, that many examples of obedience to the law which we find in Jesus’ teachings come back to issues of the heart. Throughout his ministry and teachings, Jesus stresses the heart behind the observable action committed. Our outward words and actions are, more importantly, a reflection of what is going on in our hearts (Luke 6:45). Another area which I believe the church has compromised the command of God in order to fit ‘modern’ practice is in the area of divorce. This is always a loaded issue because many of us have experienced it within our own family circles. In Matthew 5:32, Jesus offers an exception to the binding covenant of marriage. Current divorce rates among those claiming to be Christians would lead outsiders to assume that our Bible offers numerous grounds which allow for divorce spouses to separate. The fact is that we have allowed culture to determine when marriages can be terminated. The only time divorce is permitted is in the case of “sexual immorality”, and this is exactly what it says, an exception to the rule. The law and plan of God is for marriages to last. The ultimate example, of course, is God’s marriage to the nation of Israel in which he remains faithful time and time again even though Israel continuously commits adultery. The church has become to comfortable with divorce and is compromising God’s ideal plan in order to support human interest. I would have to agree that when it comes to obedience to Jesus’ commands that it all has to do with the heart. At some point we are not going to be in the right place when it comes to doing ministry or when it comes to obeying God. It will always be a battle for us because we are such sinful humans but it takes discipline and perseverance to pull through and ask God to soften our hearts so that we may be in the right place when it comes to doing something in ministry or when it comes to our thoughts or emotions. I think when it comes to the church, as a whole we need to be focused on where we are at within ourselves as well as within the church; ministry, family, and other things involved with the church will help keep our hearts in the right place when it comes to obeying God. If we think about how often we condemn or ridicule the Pharisees and what seems to be their ridiculous mentality and hypocritical attitude, do we take the time to consider how closely the Pharisees followed the law and attempted to live their lives in a way that abided by it? While they seemed to look at situations with a hard heart, often rebuking Jesus rather than rejoicing when he healed someone, were they not closely observing and attempting to live by the laws of the Sabbath? While Jesus makes it clear that there was a heart issue with the Pharisees, they were also highly revered by the people and were very devoted to their study of the law and to the ways in which their lives reflected it. While we may not agree with the way that they handled things, do we even acknowledge the fact that at least the Pharisees were consistent in their handling of situations and in their interactions with others? They firmly believed in and abided by the rules and regulations of the law, and their lives clearly reflected that. Whether or not we agree with their handling of things, they were consistent in their commitments and priorities. Yes, they failed to realize the Messiah when he was in their very midst and even at times attempted to destroy him; yet they held firm to their beliefs and the things that were important to them. If they believed that Jesus was a fraud and a deceiver, no wonder they tried to find ways to test him and to stop him in his tracks. Yet, we say that we believe in Jesus and want to live a life pleasing to him, and how often do our lives reflect that? So often we are walking hypocrites ourselves. Even though we may say that we are focused on the heart rather than the strict rules and regulations, do we live a life that reflects the heart of Jesus’ ministry? “How is corban any different than a modern Christian finding a way around head-covering (1 Cor. 11:2-16) or Paul’s commandment to keep women silent in the church (1 Cor. 14:34-35)?” (P. Long) Is it really any different? Are we any better than the Pharisees who seem to have found loopholes in the law? If we find something in Scripture that we do not agree or are not comfortable with, how often do we attempt to find a way to make that thing okay or to render it as no longer applicable in our modern age? If we claim to be people who live by the Bible and who want to reflect that of Jesus and his ministry, shouldn’t we carefully study and evaluate the things that the Bible commands? While understanding that Jesus abolishes the law of the Old Testament and presents the way of salvation by grace, there are still things within the New Testament such as the two above examples that we do away with or neglect. Do we have good reason for this or are we simply ignoring them because they are inconvenient or seemingly foolish? We should be careful to examine ourselves and our lifestyle in accordance with the Scripture before condemning Pharisee-like people, realizing that so often we are the same way. “The people worshiped, but their hearts were corrupt and self seeking,” (Long). I would have to agree with what everyone else seems to be saying about this issue. It all comes down to the heart. When I think of this story I also think of the story of the widow in the temple that gave all she had while another man gave much more then she did. Yet Jesus pointed her out above the rest. “Calling his disciples to him, Jesus said, ‘Truly I tell you, this poor widow has put more into the treasury than all the others,'” (Mark 12:43). While we look at outside appearances Jesus looks at the heart. Even if you find a loop hole in a rule you are not following God’s leading in our lives. He has places different laws as ways to help us grow in our walks with Him, if we are trying to find ways around them then our hearts are not in it. “How is corban any different than a modern Christian finding a way around head-covering (1 Cor 11:2-16) or Paul’s command to keep women silent in the church (1 Cor 14:34-35)?” (Long). I do not think that by neglecting these laws we are avoiding the law. First of the Law was made for Israel and although that does not mean we need to do away with them, it means we need to look at the context of the laws and see if those laws were meant for us to follow as well. In these verse Paul is talking to the church of Cornith. I do not think that God wants us to be silent and cover our heads in the church. I find this post a touch to late it seems! My sophomore year at Grace, I posted a status that got some people a little angry. Basically, I stated that many people in the church were acting like the pharisees because they were finding loop holes and doing whatever they could to justify what they were doing. Of course, many people got angry at me and told me how incorrect I was! It got to the point where I was threatened to be asked to leave my church if I didn’t apologize for the status. I say all of this to point out that people absolutely hate being accused of acting like a pharisee. I noticed a few people above saying that the comparisons are unfair, I would say its more like people don’t want to be compared with the Pharisees because they are seen in our culture as evil horrible men! It doesn’t seem that there is much of a difference between what the Pharisees did and what we do today. I hadn’t thought of this this way before but it seems to make perfect sense! It is true that we do have to give some credit to the Pharisees for their hard work and dedication to following the Law and to the best of their interpretation of it. We do seem to come down on them pretty hard at times, but sometimes there are many parallels to us today. We automatically view it as legalistic, and now it is because of the work of Christ, the Cross and the resurrection, but then it was the command to follow God’s Law…and that is what they were doing. These other passages and things you mentioned, P. Long, are a good example to what we face today, and they definitely make the point. We still apply the Scripture we like to how we live and we skip past the verses we don’t particularly like or that may be more difficult. Or maybe worse, we alter it in ways that mostly fit, and enough that makes it seem like we are following it and are “spiritual.” One of the themes that is common in these types of discussions is that, it comes down to the things we do to make us look or feel good in front of people and the things that we do and say to please God and worship him. Again, it’s all about the heart. Because there are things that appear good to men, but it is also done in way, and with a heart, that honors God. Paul addresses this saying, “am I now trying to win the approval of human beings, or of God? Or am I trying to please people? If I were still trying to please people, I would not be a servant of Christ.” (Galatians 1:10). As P. Long points out, Corban can be about the same as Christians in the church today trying to find a way around some command or principle found in Scripture. I think that it is very common in individuals to overlook Scripture. For many of us, it is easy to read Scripture and make it mean what we want it to mean. It is so easy to come to God’s Word with a desire to hear a specific answer, so when we read we make the words fit that specific answer. But Scripture does not mean whatever you want it to mean. Scripture is God’s Word, and it has timeless truths in it. Hebrews 4:12 says, “For the Word of God is living and active. Sharper than any double-edged sword, it penetrates even to dividing soul and spirit, joints and marrow; it judges the thoughts and attitudes of the heart.” I think that in churches we too often use Scripture out of context, and use it incorrectly. There is no way around what God says in the Bible, it is truth. So, we as believers, ought to follow that truth, without trying to skirt around it. The radical cost of discipleship is one that is hard to preach on in today’s society. “Those who leave to follow Him will receive more blessings in return, both in this age and the age to come” (Strauss 476). I think this is one that we try to find a way around. This radical cost of discipleship would mean losing many things in our lives, things that we do not want to give up. But God commands this, so we cannot find any way around it. Mitch and Scott make an excellent point on it being a heart issue. When you make an oath or a promise, the deepest and most true of them is made and kept with the intent of seeing it through. This is done when your heart is fully into it. Loop holes are everywhere, and are always being used. The government and judicial system have them to go around certain things and what not. Using them and exploiting them comes back tot the heart and where you stand on those things. Divorce or women remaining silent are things that God lays out and it comes back to how you were raised or where your beliefs are placed. When the heart is involved, it can truly affect our stances on these things. This is a very good point. I think this idea is what makes the Pharisees so similar to many Christians today. While the Pharisees strayed from the point of the law in always trying to follow it as adamantly as possible, Christians today often stray away from the point of the law by trying to dismiss the inconveniences and difficult passages for twenty first century gentiles. And at first appearance it seems as though the Pharisees at least had good intentions, but I do not think that the modern westerner’s intentions are any worse at their core. Perhaps this is what I appreciate so much in a dispensational hermeneutic. It allows for appropriate consideration of what is meant for us today and what was meant for another people group at another time. But, I have often wondered if Dispensationalism (and many other modern day hermeneutics) are only prevalent and seem appropriate because of the culture from which they have originated. I wonder if a Middle Eastern culture that was isolated from these western hermeneutics would come up with similar theological conclusions. In a world where women’s head are to be covered and women are to remain silent, would they ever think that perhaps those verses were no longer meant for today? I don’t think they would. And of course, I’m sure there is a common ground between the Middle Eastern cultural normality and the western cultural normality that would cause both to want to dismiss certain portions of the Bible (perhaps mixed fabrics). And this has been something I’ve struggled with lately. Does a proper interpretation of the Bible have to be one that is appropriate in all cultures? Or, do we say that Mid-Acts Dispensationalism is the right approach, but only for people who are culturally relevant to the GGF? Perhaps we must submit our hermeneutical ideas to the main culture of God’s book (that is to say, that of God’s people, the Jews). I guess I raised more questions than I answered, but that is where I am right now. Any thought(s)? “, I’m sure there is a common ground between the Middle Eastern cultural normality and the western cultural normality…” I suppose, but it is hard to say that there was any commonality between Rome and Jerusalem in the first century. Classic dispensationalism tends to dismiss the Law without much of a second thought, more recent attempts at dispensational thinking tries to draw principles from the Law (the heart of the law, the spirit of the law, etc) without taking over all the cultural elements. Like you mentioned above I think that these examples are a bit leap because there are a lot more to these scriptures. However, I agree with you that sometimes if scripture is an inconvenience we find away to get around it. It is important that before people do that to do more reading and research on the scripture. Today, Christians forget that the Bible was not writing during our time and to our society. Also, Christians cannot pick and choose what they believe and what they don’t believe in the Bible. The whole Bible is God’s word! It is important to also keep in mind that the Bible was written to totally different people and society than today. I agree that in order to make an oath, sacrifice, or gift to God that it is a heart matter. God know everything even the intention of our hearts. Psalm 139 says, that God is always with us and that we are fearfully and wonderfully made. A God that made us and is always there for surely knows our thoughts and our hearts. We cannot hide anything from God. Is it fair that we criticize the Pharisees? They were keeping the law but when they were in the law and reading the scripture wouldn’t the scripture affect there heart as well? Where they not allowing God’s word to change them as a person or did they just want the knowledge? Unfortunately I cannot answer that question. Some ways that today’s society has compromised God’s command is in divorce like Scott Miller said above. I think that people finding loop holes is still a huge problem in the church. it was back then and it will always be. Back then they found them in whether or not they could cook on the Sabbath day or if they could walk to church or if it was to far. Today there are still people trying to find loop holes, whether its how close can i get on this wall of sin before its to far or what is morally excepted in the church such as homosexuality or divorce. People need to check where your heart is and stop trying to go the easy way out of stuff. While I agree with those before me that many times it is a “heart issue”. The act can be right, but if the heart is not right, then the act is wrong. However, unlike the others, I would say there is pretty much no difference between a modern Christian neglecting the head-covering command (1 Cor 11:2-16) or Paul’s command to keep women silent in the church (1 Cor 14:34-35). Jesus condemns the pharisees with the words from Isaiah 29:13, “These people honor me with their lips, but their hearts are far from me. They worship me in vain; their teachings are but rules taught by men.” The problem in Isaiah was that “The people worshiped, but their hearts were corrupt and self seeking.” The people of Israel were corrupt and were teaching rules of men. In the examples given, modern Christians are not any better. We are given a clear instruction from Paul. He even says in 1 Cor 11:16 “If anyone is inclined to be contentious, we have no such practice, nor do the churches of God.” It is clear that Paul wanted this command to be taken seriously, yet the modern Christian, myself included, has tended to push this off to cultural context. Even saying this, I still struggle with it. It, along with the passage about women being silent in church, are passages I wish Paul never wrote. Perhaps there is more to it than I understand from reading it, but at face value, it is a clear command that many, many Christians ignore, pass over, or neglect. Essentially, if we believe the Scriptures are inspired, inerrant, and authoritative, then modern Christians are doing the same thing that the Pharisees are condemned for. Modern Christians are teaching rules taught by men, not of God. “am I now trying to win the approval of human beings, or of God? Or am I trying to please people? If I were still trying to please people, I would not be a servant of Christ.” (Galatians 1:10). It would seem that we alter this teaching in order to please men. I am more than willing to be wrong about this, but as it stands, it seems we are in danger of transgressing just like the Pharisees. I know theology 151 is unlike most theology class and is quite different than any of my future courses I might take. But in it’s defense it was not a bad different. The one thing that was primarily stressed in that class, was our heart. Was our heart in it fully, where we going through the motions or was it for the simple reason that we were really convicted and felt it in our hearts. “And he called unto him his disciples, and said unto them, Verily I say unto you, That this poor widow has cast more in, than all they who have cast into the treasury” (Mark 12:43). Because she did it wholeheartedly it meant something so much greater than those who had more money and gave more, just because. “How is corban any different than a modern Christian finding a way around head-covering (1 Cor 11:2-16) or Paul’s command to keep women silent in the church (1 Cor 14:34-35)? (P. Long)”. I think also that Law at certain points in the Bible pertained to a certain people that Paul was talking to. A certain culture, a certain time, a certain edicate. Hebrews 4:12 says, “For the Word of God is living and active. Sharper than any double-edged sword, it penetrates even to dividing soul and spirit, joints and marrow; it judges the thoughts and attitudes of the heart.” This talk about head-coverings and women being silent to me is a conviction that is not convicting to me. It was pertaining to a certain people at a certain time and should not be taken out of context. Corban is not extremely different than modern Christians. We tend to make loopholes to fit our understanding of scripture and we tend to make loopholes to try to support our interpretations of scripture. I believe that when we try to find things to set aside the commands, we are dismissing the commands of God and declaring that the rules of the day are more important to practice and do. We can’t assume that God didn’t mean certain things, or try to find loopholes to do what we want. Scripture is blatant about most commands and they are explanatory. God would never give us a command that we can’t understand and that the Holy Spirit wouldn’t help us to know. However, the word for “transgress” in Acts 1:25 is παρέβη which isn’t related to the word ἀθετεῖτε which is used for transgress in Mark 7:9 (if I am reading that correctly). Well spotted, it turns out I have cheated a bit and shifted the discussion to Matthew 15:3 without making that clear. (It is cheating since I had previously taught on Matthew and I lazily imported that teaching into a discussion of Mark 7, the parallel passage, without checking the verbs!) The verb παραβαίνω is used in Matthew 15:1-3 for the “breaking the commandment of God. The use in 1 John 9 is only in a variant. It is NOT used in Mark 7:9, sorry. It is far more common in the LXX, 67x sometimes literally (crossing over, against) and sometimes for transgressing the law.